A bride wants her wedding to run smoothly without any hick-ups, so Jacinta decided to plan everything herself as every brides does. But Jacinta took it to another extent as she went ahead and made her own cake, she couldn’t let someone else make the cake as she believed they’d make it wrong. Jacinta spent an entire year making this cake with its precise details and thousands of fondant flowers all over it. 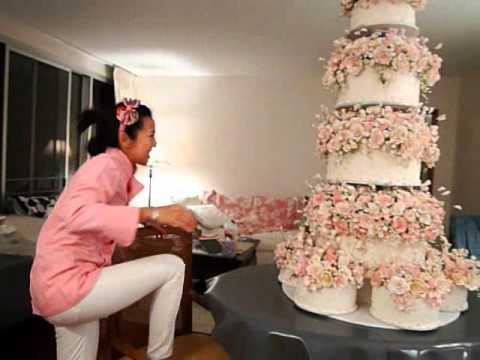 Some people say she went too far by spending an entire year making the cake, what are your thoughts?